Jarret Stoll, along with his teammates and fellow NHLPA members, are preparing to take their best shot at raising money for two worthy causes this Friday in Los Angeles. 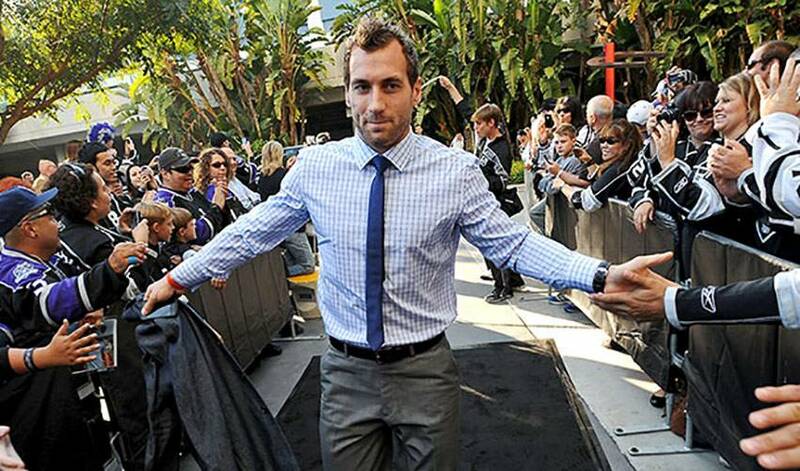 On November 9, Stoll and several Players will hit the ice in El Segundo, California, for a charity game. All gate proceeds will be split between the Twin Peaks Cancer Foundation (breast cancer) and the LA Jr. Kings Pee Wee AAA1 2000 hockey team. Dustin Brown, Jeff Carter, Kyle Clifford, Colin Fraser, Matt Greene, Trevor Lewis, Brad Richardson, Rob Scuderi, Jarret Stoll, Ryan Miller, Shane O’Brien, George Parros, Sheldon Souray, Scottie Upshall, Dustin Penner, Davis Drewiske, Teemu Selanne, Ryan Getzlaf, Francois Beauchemin, Jonas Hiller and Eric Nystrom are some of the players who will participate. Even it means skating alongside or against some rivals? Stoll, who has been skating with 15 fellow Players during the lockout, wouldn’t mind getting the better of one goaltender, either during daily training practices or on Friday night. What matters most to Stoll, however, is the opportunity to lend a helping hand on November 9. “The bottom line is that we want to do whatever we can to raise as much money as possible,” he said. Fans who attend the charity game will have the chance to bid on signed game-worn jerseys from each player, as well as other memorabilia, in the event hosted by Twin Peaks Cancer Foundation. People can also bid on unique experiences – including ‘Coach a Period,’ where a donation will put someone on the bench for one period of the game. There’s also the chance to be the National Anthem singer and to drop the ceremonial puck. Twin Peaks Cancer Foundation is a non-profit organization committed to eliminating the diagnosis of Stage IV breast cancer by providing funds for breast cancer education, early detection, and research through community-based fundraising events. Proceeds will also help the Jr. Kings Pee Wee AAA1 team travel to the 53rd Quebec International Pee-Wee Hockey Tournament, from February 14-24, 2013. Widely viewed as the most important minor hockey tournament in the world, 2,300 young hockey players from 16 countries come to Quebec to participate in the event. The annual event attracts crowds totaling 200,000-plus fans.